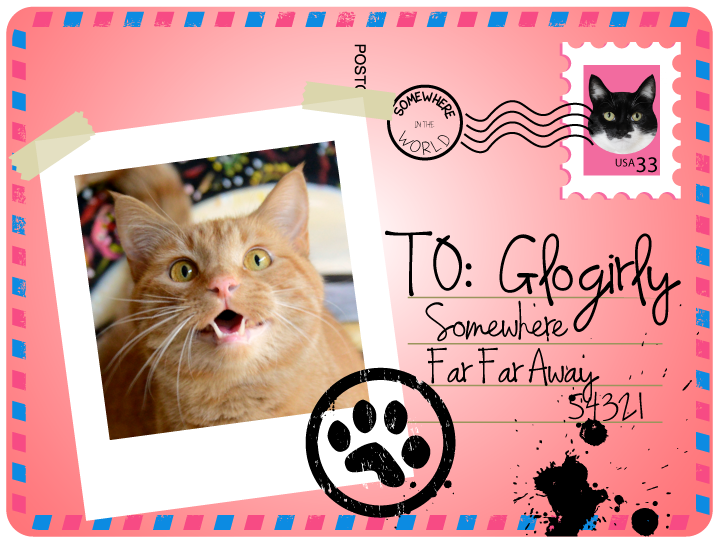 GLOGIRLY: Postcards from the Cats - Our Girl is Coming Home! 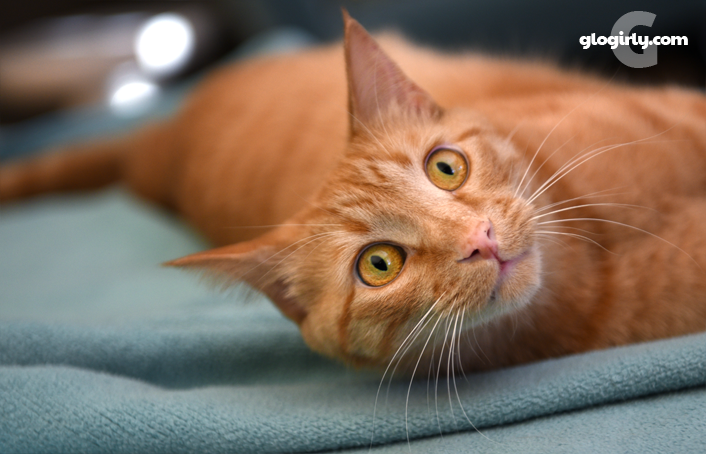 Postcards from the Cats - Our Girl is Coming Home! Today's the day! Today's the day! Uh, today's the day, right? Me and the Boss are waiting for you and we can't wait to see you and all the presents you're bringing us. You are bringing presents, right? Doodie free? KATIE: Doodie free??? Did you really just say that? WAFFLES: Well yeah. You don't want a bunch of doodie all over our presents do you? Thanks for keeping us company during Glogirly and Gloman's Icelandic Adventure. And special thanks to our most awesome cat sitter and her fishmonger fiancé. It's been ten sleeps twenty meals and an untold number of litter scoopings since we've seen our girl. We hope you've enjoyed our vacation postcards and blog posts. Glogirly's got some serious laundry, napping and cat cuddling to catch up on this weekend. Three of our very favorite things. See you Monday! It's good to have the Glofamily back together again. Yay! I can't wait to see photos! I hope there are some kitty pics. As much as I love looking at Waffles ... there are times I really feel sorry for Katie. Doodie free!!!! 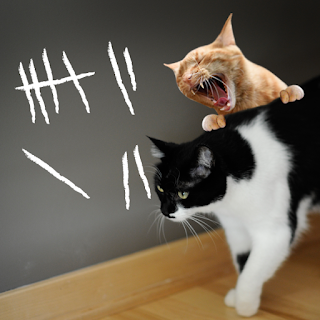 MOL!!! We hope it's a great reunion!!! 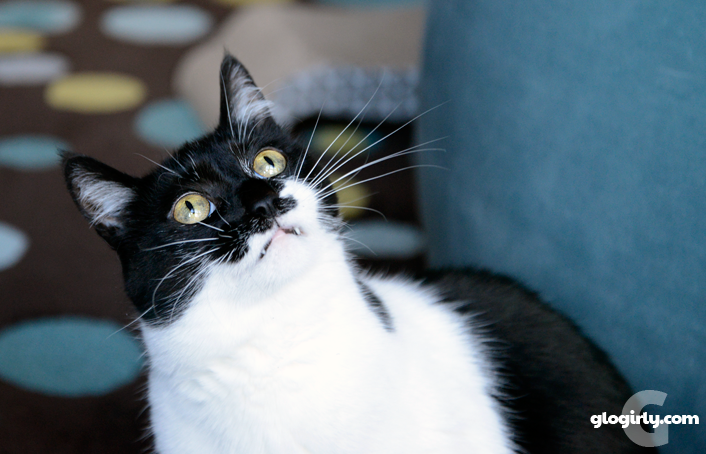 Waffles, you handsome mancat, you crack me up. Doodie free Bwahahahahahaha! I hope you and Katie get all the non-stop cuddling, wand toy playing, fetching time your little hearts desire. You've certainly been good kitties while your girl was away. Enjoy the weekend! We know you'll be so glad to have Glogirly and Gloman back home again. And we're sure they wouldn't bring you any foreign doodie. YAY for the return of Glogirly!!! We're sure they had a great time and will spend tons of time cuddling with YOU! YAY!!! Be sure to greet them at the door!! Yes, like Random Felines just said "Be sure to greet them at the door." Our humans have very tender feelings and are always unhappy if we don't rush right over to them because they have been gone so long. Yay for the Glo peeps to be home, for cuddles, treats, toys and playtime! It will be great for you to have Glogirly and Gloman back home again. I hope they had a wonderful time. I can't wait to see what she got you. Thank goodness she's coming home! Can't wait to hear all about it! Sunday purrs from Deb and the Zee/Zoey gang!